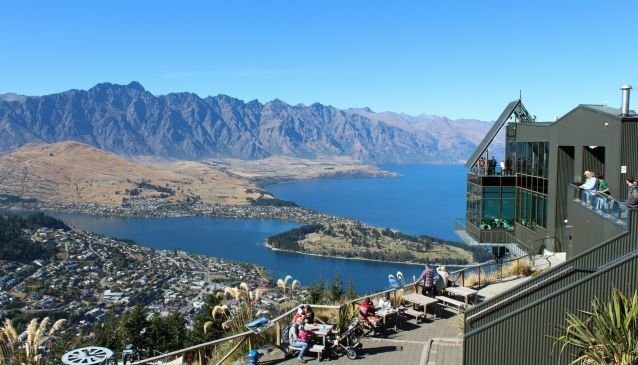 A short walk from the town centre on Brecon Street, The Skyline Gondola is an obvious choice to take in the picture postcard views of Lake Wakatipu and the aptly named 'Remarkables mountains. Along with the hypnotic scenery, there are plenty of other attractions including the 'Luge', bike park, stargazing, cafe and restaurant. If you're feeling more adventurous and fancy a walk, from the gondola station you can continue upwards by picking up the Ben Lomond trail and trekking to the summit. It's a 6-8 hour return journey but the views are worth it. Or, you can just take a look at our walk photos. 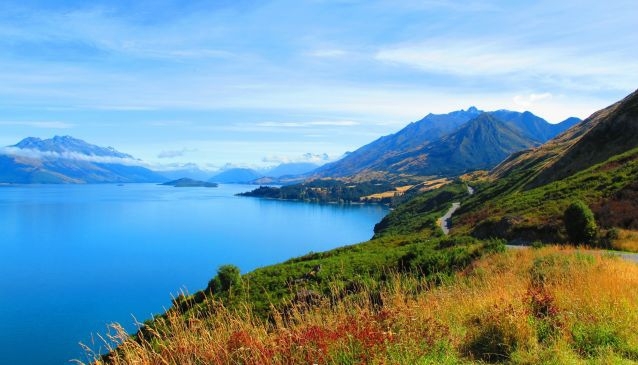 Travel along the main road from Queenstown to Glenorchy and you'll be rewarded with views that you probably imagined New Zealand to look like. With many scenes from the Lord of The Rings and Hobbit movies shot near Glenorchy, the epic scenery is reason enough to make the 45 minute trip. As New Zealand's 'Capital of Adventure', it's no surprise to learn that to gain some of the best views of the region means adrenaline induced thrills are required. So, what better way than to jump out of a plane at 15,000 feet and get a bird's-eye view of the terrain below. 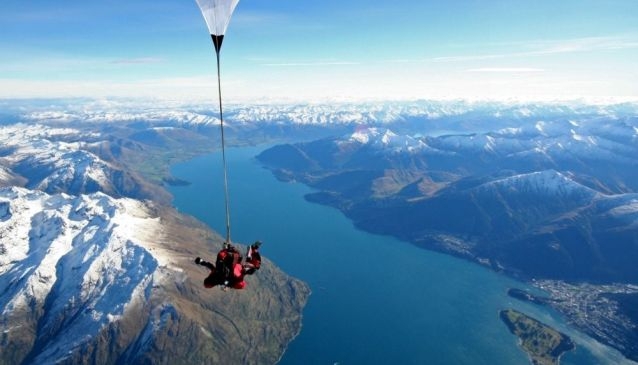 Book a skydiving trip with NZONE Skydive Queenstown or Skydive Paradise. 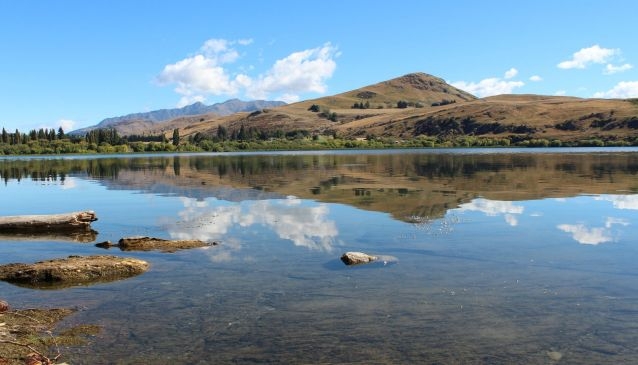 A local's favourite, Lake Hayes is less than 15 minutes drive from Queenstown, just off State Highway 6 heading to Gibbston. The lake is a lovely spot for picnics and a has a great loop track that's popular for walks, jogging and bike rides. The view of the tranquil lake framed by the mountains is reason enough to visit. 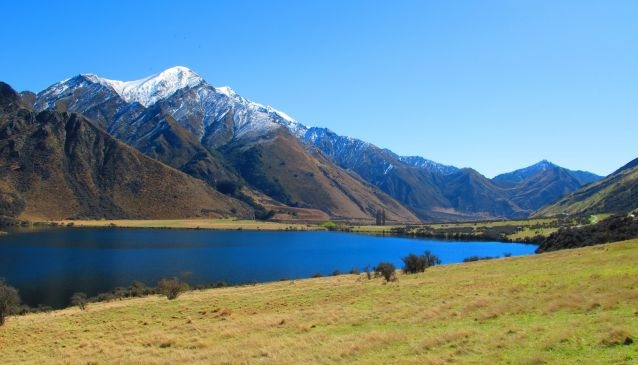 Geting off the beaten track, Moke Lake is a hidden gem that's a right turn off the road to Glenorchy, and around 10 minutes drive from Queenstown town centre. Along with a secluded DOC campsite, there is a delightful two hour loop walk to soak up the views. Lake Kirkpatrick is an added bonus that you'll pass on the way. 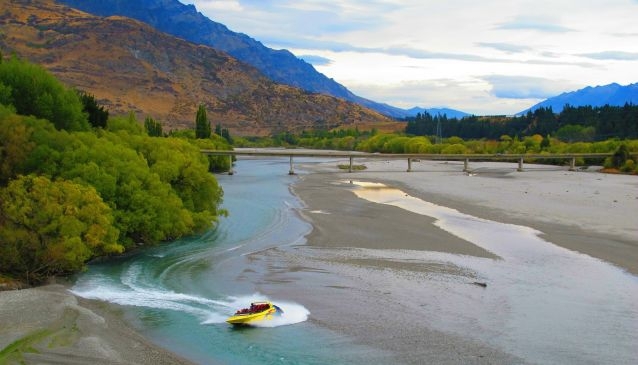 10 kilometres from the centre of Queenstown, the Old Lower Shotover Bridge is a foot bridge with eye-catching views of Shotover River and the surrounding mountain peaks of 'The Remarkables, Double Cone Peak, Cecil Peak, Coronet Peak and Brow Peak. Cyclists will pass over the bridge as part of the 'Twin Rivers' section of the Queenstown Trail. However, the most thrilling way to enjoy the river scenery is strapped into a jet boat. In the winter season, skiers and snowboarders can take in the sweeping views from Coronet Peak as they navigate the pistes. Others can simply drive up the steep and winding road, park up at the ski station and marvel at the scenery in front. 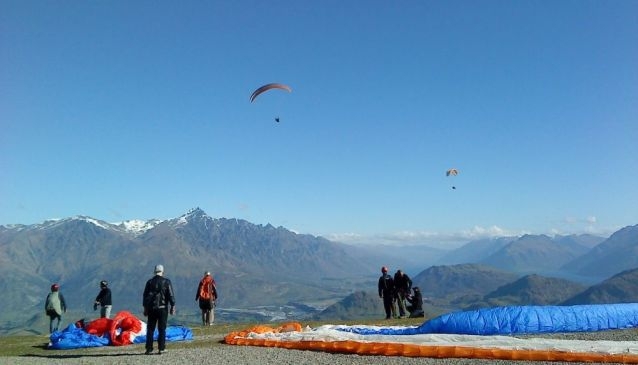 Thrill seekers can get an even better view with a tandem paragliding or hang gliding flight - the highest commercially operated launch site in Queenstown. 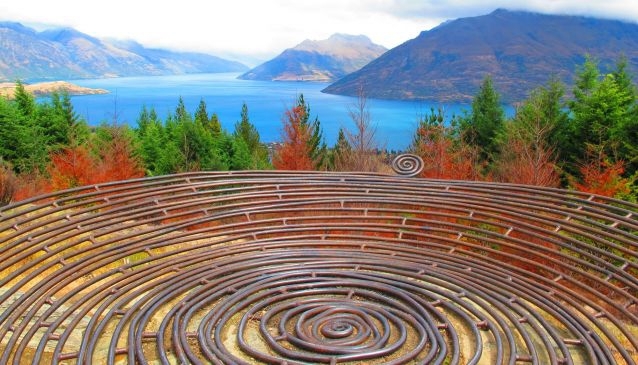 There are heaps of places to get views of Lake Wakatipu - just head along to the waterfront at Marine Parade, Steamer Wharf and along to St Omer Park. 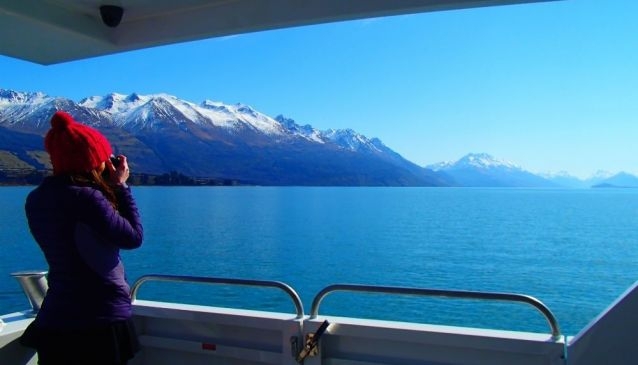 The best way though is to get on a scenic cruise and enjoy the views from the lake itself. Check out Southern Discoveries who operate the 'Spirit of Queenstown', where you can combine a cruise with a farm or 4WD experience over at Mt Nicholas. 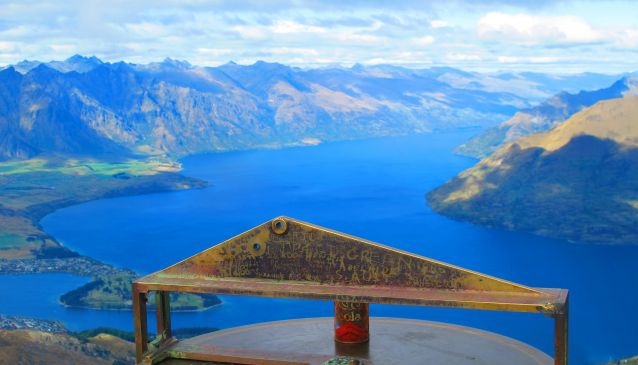 A convenient location from the town centre, this steep walk starts on Belfast Street and is a great way to see captivating views of Lake Wakatipu, Coronet Peak, Lake Hayes and the Crown Range.